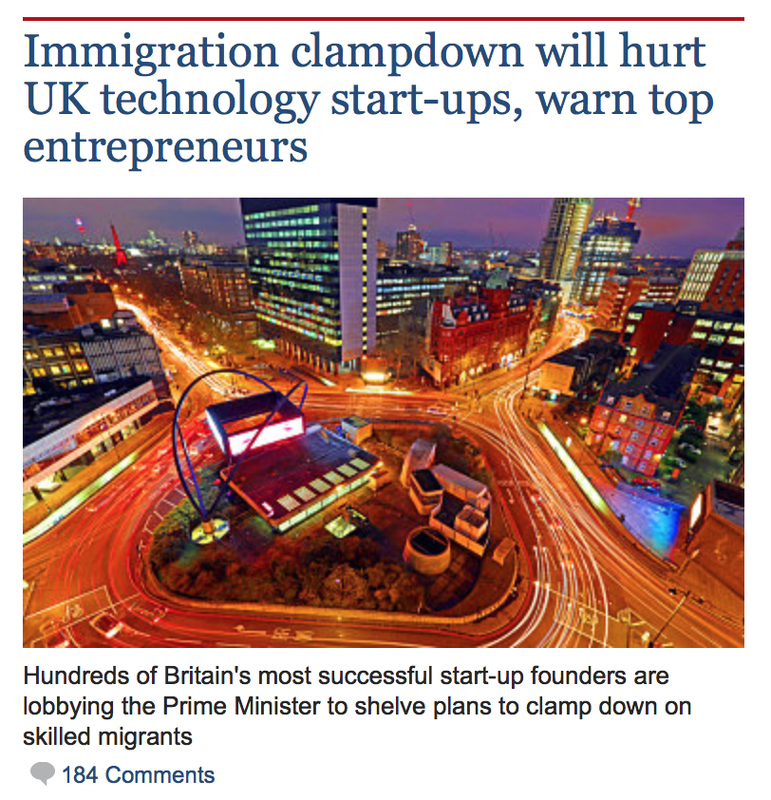 Over 230 startup founders and investors, including Martha Lane Fox and the founders of Citymapper, DeepMind, SwiftKey and Unruly signed an open letter organised by Coadec, calling for a rethink of government proposals to further restrict visas for skilled workers. The letter comes as the Government’s Migration Advisory Committee (MAC)considers proposals that would make hiring skilled workers from outside Europe significantly more difficult. Read more about the letter in the Telegraph.